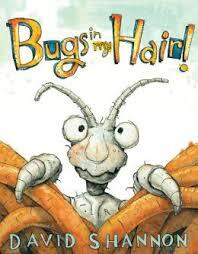 Congratulations to Alysha Keyes- the winner of the David Shannon collection of books including his newest title- Bugs in my Hair! Thanks again to all of you for your funny comments and interest in the book! That is a really good book. My son read that at his community school in fort myers fl last year, and he has been obsessed with it ever since.